In the 1980s, every TV series had its own toy line. But one of the most popular toys in history didn't have a hit series. 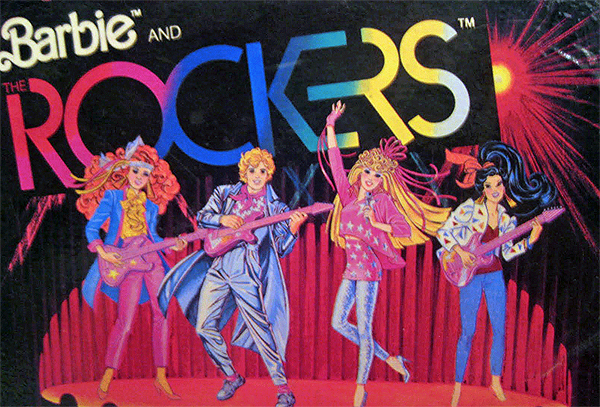 That almost changed with "Barbie and the Rockers," Mattel's answer to Hasbro's hit "Jem and the Holograms" toy and cartoon series. It's a two-part pilot for a Barbie TV series, with lots of music, dancing and time travel. So why didn't it last more than two episodes? William Bibbiani and Witney Seibold review the shows that got made, and explain why Barbie couldn't compete with Jem on television, and what happened to all the unused ideas for the series!